A driver-vehicle inspection report -- known better as a pre-trip inspection -- is designed to ensure a vehicle is in good working order and safe to take out on the road. Federal law requires a daily inspection, as well as a report to document the inspection, but does not require drivers to use any specific form. So what exactly are you looking for during a pre-trip inspection? These vital safety inspections have several key components. The engine compartment check includes an inspection with the vehicle turned off. Drivers should look for any and all problems with the engine, its parts, or the area under the hood. With the engine running, drivers must check the cab while monitoring for any problems while the engine is running. One often-overlooked area is the cleanliness of the cab itself. An unclean cab presents a serious hazard because any loose items can become projectiles in the event of a crash or sudden stop. Any unusual sounds with the engine, odors associated with starting the vehicle, rattling sounds, or other signs of mechanical trouble must be noted on the inspection form. Large vehicles are more dependent on their brakes than small cars, because these vehicles must be able to quickly and safely stop. A brake check is critical for safety, since even minor brake issues can become life-threatening. Much of the brake check is part of the external cab check, and the brakes should not be considered safe until the external cab check fully inspects them. The external cab check reveals much about how the vehicle is operating. Check for obvious broken parts, or signs that there might be internal wear and tear -- things like rusting wheel rims or dents in the hood. Problems with the trailer can be extremely dangerous. Not only do they pose a threat to the driver and other motorists. Trailer issues can also endanger the load a driver is hauling, costing time and money. You know you have to complete DVIR checklists before your vehicles can legally go on the road. But the push to comply with the law can distract from a more fundamental goal: the need to keep drivers safe, to protect motorists, and to keep your vehicle's operating soundly for as long as possible. So don’t focus solely on meeting the minimum threshold. Consider how custom checklists can promote better safety and a healthier work environment. For example, simply blocking the wheels during an inspection with the engine running can prevent catastrophes. By adding this item to your checklist, you increase the likelihood that drivers will actually do it. Likewise, providing specific instructions-- “kick the wheels; note any rust”-- you increase driver compliance well above that which you could expect with a simple list of items to inspect. You need custom checklists that drivers can understand and follow quickly and efficiently. That’s precisely what Whip Around offers. It’s not enough to simply check off a few boxes and put a vehicle on the road. Indeed, the law specifically forbids such cursory checks. 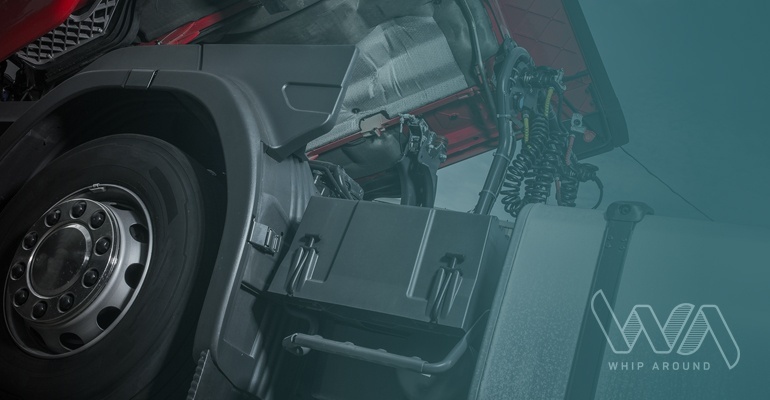 A pre-trip inspection requires the driver to completely check each component of the vehicle, note any problems on the form, and then submit the form. From there, any defects must be repaired before the vehicle can be taken back on the road. Failure to repair defects can cost a company dearly. If there is an incident with the car, then your failure to repair defects could give rise to lawsuits, fines, and bad publicity. Additionally, investigators may request copies of DVIRs from immediately before any incidents. If these forms indicate cursory checks or are not available, your company could be in trouble. Whip Around allows companies to build custom DVIR forms that are elegant, simple, and easy to follow for drivers and managers alike. 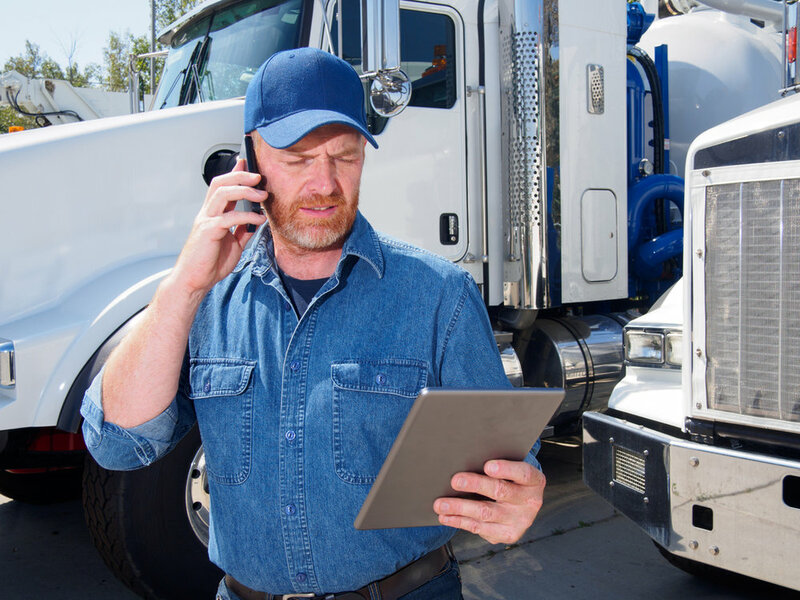 Our digital approach makes inspections easy, allows you to assign repairs to mechanics, and assists you to track repairs so you can plan schedules and deliveries. Better still, we end the pile of paper that may have taken over your office. By going digital, you’ll gain access to searchable forms that reveal important information about your vehicle's’ history. If you need a form, it’s readily available -- no more stress, no more fines, and no more paper. Whip Around is easy for drivers, effective for managers, and a game changer for owners. It’s a win for everyone. You know you’re supposed to do it. You might even do it occasionally. But, if you’re like many modern day truck drivers, you would rather skip it, and just hope nothing goes wrong. Odds are you guessed what I’m talking about by now. The good old CDL Pre-Trip Inspection. Now, you might be wondering. What’s the big deal about this thing anyway? Let’s break it down in hopes of helping you avoid a break down in your truck and in your business, shall we? WHAT IS A CDL PRE-TRIP INSPECTION? In other words, the inspection is the process of checking various elements of your vehicle, to make sure it is road-ready. WHO SHOULD BE DOING THESE INSPECTIONS? Every driver in your fleet should be doing a CDL pre-trip inspection on their vehicle. If a vehicle is going to go out on the road, it needs to be inspected before it departs. Plain and simple. In fact, as governments add more regulation to health and safety for commercial vehicles, it is becoming even more critical that drivers complete these inspections to ensure that their vehicles are safe to be on the road. FleetOwner.com says that completing your inspection forms, and making them easily accessible and legible, can mean the difference between getting a fine for non-compliance on the road, and smooth sailing in the event of a random roadside inspection from the DOT. HOW OFTEN SHOULD A PRE-TRIP INSPECTION BE DONE? We feel they should be done daily. Not only can a daily CDL pre-trip inspection of the trucks in your fleet detect problems early on, they could save you money by helping your drivers get back on the road faster. Larger problems take longer to fix after all. So, catch them sooner, and it will take less time for repairs. Daily inspections help ensure your trucks are safe too. This could prevent accidents, and even save lives. That may sound a little dramatic. However, did you know that according to a truck crash causation study, 29% of the accidents involving a commercial truck occurred due to brake problems? When you consider that a failure in something like a truck’s brake system could cause a fatal collision, that CDL pre-trip inspection starts feeling more like insurance, and less like a pain in the neck. Let’s face it. Your drivers are facing enough hazards on the road. Construction, distracted drivers, daredevils who think they can cut off a truck on the highway, etc… They don’t need to add worrying about whether or not their truck is safe to the mix. Want to learn more about the importance of frequent truck exams? Check out our post 10 benefits of conducting daily vehicle inspections. WHAT IS THE FASTEST WAY TO DO A CDL PRE-TRIP INSPECTION? Enter Whip Around, aka the pre-trip vehicle inspection software that is changing the face of the DVIR. Whip Around is a mobile application that allows your drivers to carry out inspections on their mobile devices quickly to avoid unnecessary downtime, and ensure compliance with government safety regulations. Fleet managers can create their own inspection form, and then the drivers use the mobile app to fill it out. Drivers will be prompted as they go through the form, and can report on faults within the app. Should they report a fault, they’ll be asked to take a photo and leave a comment. Once the inspection is complete, the driver submits the form which is automatically transmitted to the fleet manager’s dashboard for review. 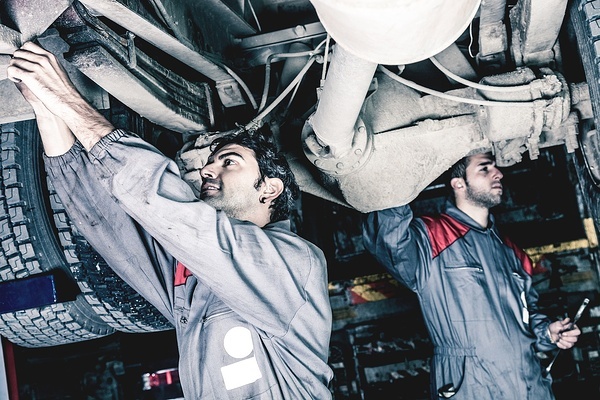 If necessary, maintenance and repairs can be assigned to a mechanic. Otherwise, the driver can simply get on the road knowing their vehicle is safe, and road-ready. As an added benefit, because the forms are completed electronically, your company will save time and money vs. using paper inspection forms. It’s so simple to get started with Whip Around too. If you manage a vehicle fleet, you need pre-trip vehicle inspection software. Want to try out the Whip Around instead of taking our word for how amazing it is? You can get started with one of our freemium accounts to test out our features at no cost to you. Click here to create an account today!